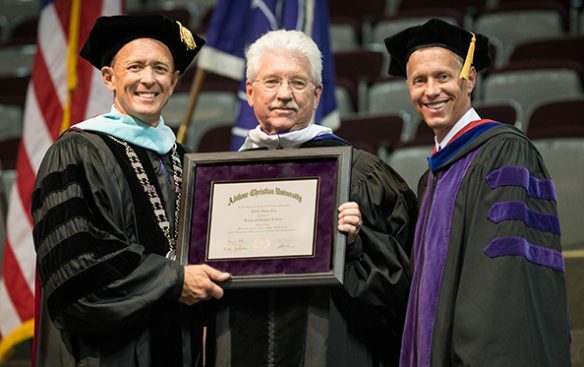 Eddie Lee, superintendent of Midland Christian School, on Saturday received an honorary Doctor of Humane Letters degree for distinction in education and contributions to society. 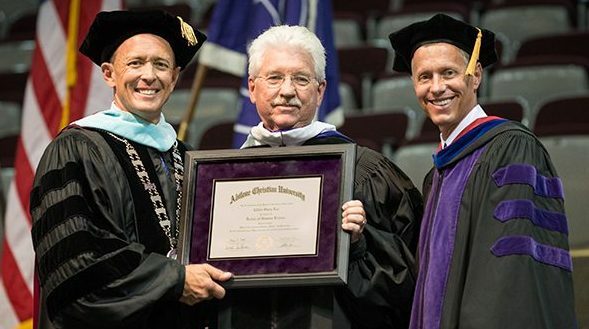 Lee was awarded the degree, one of Abilene Christian University’s highest honors, at May Commencement in Moody Coliseum. He is the 85th person to receive such an award in the university’s 111-year history. Midland Christian School has seen exponential growth under the direction of Lee, who has served as superintendent for 32 of his 42 years at the school. At a ceremony at Midland Christian on May 1, president Dr. Phil Schubert (’91) extolled Lee’s career in education. During his tenure, Midland Christian’s enrollment has grown from 330 to more than 1,250 students. Lee earned his bachelor’s degree from Lubbock Christian University in 1976, his master’s degree from The University of Texas of the Permian Basin in 1982, and his superintendent certification in 1985. He and his wife of 40 years, Carol, have two children, Jared Lee (’03) and Cari King, and two grandchildren. 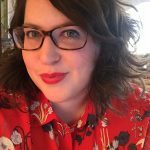 Lee also has served as an elder for 16 years at the Golf Course Road Church of Christ in Midland.